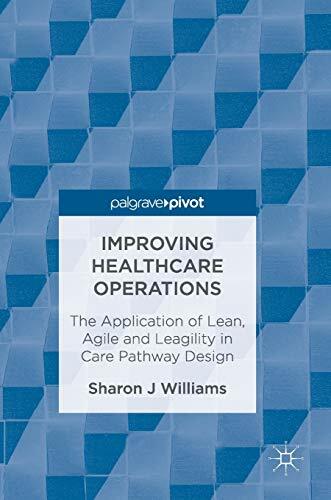 [PDF] Improving Healthcare Operations: The Application of Lean, Agile and Leagility in Care Pathway Design | Free eBooks Download - EBOOKEE! Description: This book examines the design of two care pathways to establish how key principles associated with systems thinking, quality improvement, and supply chain management can improve the design of these services. Lean has typically been the prominent approach when improving the design of healthcare systems and is often selected by healthcare professionals to standardize and improve the delivery of care. Previous literature shows there has been varying success in the application of Lean, the author presents a study which examines the benefits of introducing Agile as an alternative and complementary approach. Improving Healthcare Operations explores when Lean and Agile are most applicable, and instances where a hybrid approach can be employed. Including empirical qualitative data collected from two care pathways, it intends to provide organizations with an alternative in order to produce the level and quality of care that is expected by patients. No comments for "[PDF] Improving Healthcare Operations: The Application of Lean, Agile and Leagility in Care Pathway Design".